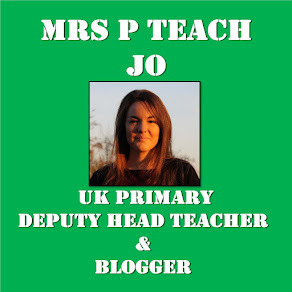 After such a successful first post about his experiences supply teaching, my husband has written another post to give some ideas about how best to leave plans for a cover teacher to follow. It is a huge misconception that class teachers need to leave thorough and detailed plans for supply teachers. That doesn’t mean you shouldn’t provide plans at all, but what it does mean is that class teachers shouldn’t waste their time writing out, printing and generally fretting too much over what their supply teacher is going to do with their class. The reason I write this is because class teachers already have a busy schedule without needing to worry too much about days when they have got supply. They’ve got other things to get on with! When cover teachers arrive at a school in the morning, they don’t want to have to look through pages and pages of planning. This is not because we are lazy - we are against a time limit. We need to be able to read through up to five different lesson plans before the children arrive for the day. The plans need to be short, simple and understandable. I tend to arrive at a school before 8am meaning I have approximately 40 minutes to get my head around what is going on. It makes us supply teachers panic if we are not really sure about what to do in each lesson. It is best not to leave hand-written plans as, sometimes, that can be even harder to read and understand. Typed notes, if possible, are much clearer. If you know your school’s lesson plans are difficult to comprehend because the format is full of boxes, jargon and anything else that is simply included to impress Ofsted, don’t leave that for supply teachers to read through. Plans for supply teachers need to be brief notes with the important bits only. Either that or simply highlight the important parts of the plan that you want the cover teacher to read so they don’t have to go through it all. It is not ideal to write all over plans as, again, this can make the plans difficult to understand. I have often turned up at schools and the plans have been left with a teaching assistant. This is less than ideal because they tend to come in later than me and could be absent on the day. Instead, ensure any plans and resources are left out somewhere obvious so that, if the supply teacher comes in earlier than the teacher welcoming them, they can read through everything and get their heads around it straight away rather than having to wait. If the class teacher is in school on the day that they have got cover, it is helpful to visit the supply teacher to check if everything makes sense or to discuss the plans. It is useful for teaching assistants to know what the class is doing so that, if there are any problems, they can help. If there are any IT resources to be set-up for the day, it is a good idea to check that they work first and ensure that someone in school is arranged to load them. 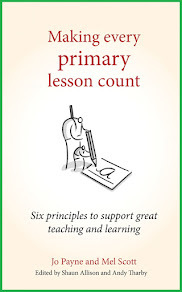 The most thorough supply teachers mark books from all lessons at the end of the day. However, it is really important for teachers to not leave too much marking for their supply. I have been in the position where, come 3:15pm, I’m faced with the prospect of marking 4 sets of books. If I am to mark well, there’s no way I can mark that many books before 6:00pm. If you want work to be marked well by the supply teacher, remember to include it in your notes. Furthermore, try to leave a reasonable volume of marking otherwise the supply will probably only tick and stamp them. If it is possible, try to think of some practical lessons, for example whiteboard or online work, to plan into a supply day to help reduce the marking. Alternatively, plan time for the children to mark their own work. Planning aside, the most important thing I need to know is how to keep your class safe. Are there any allergies, serious family circumstances or other well-being issues? Which children require extra support and are there any adults who are not DBS checked that cannot be left alone with children? These notes need to be very clear and near the top of any documents. It is also useful to have timetable information for the school and some idea of how children are grouped in lessons. Finally, please make sure you point cover teachers in the direction of the toilet, staff room and coffee machine. After all, we're only human! Another great post, I can relate to this so much! I often judge friendliness of the school on whether they've pointed me in the direction of the toilets and staff room. Some do it straight away and one of the first schools I ever did supply in didn't mention it and I had to ask how to find the toilet! I particularly agree about the marking and it being manageable. I have been asked to do 2 stars and a wish marking before (and had head of year group ask to check that I had marked EVERYTHING before I left- needless to say they're on my 'no' list if asked to work there again) and how can someone who doesn't know the children and their abilities mark like that?